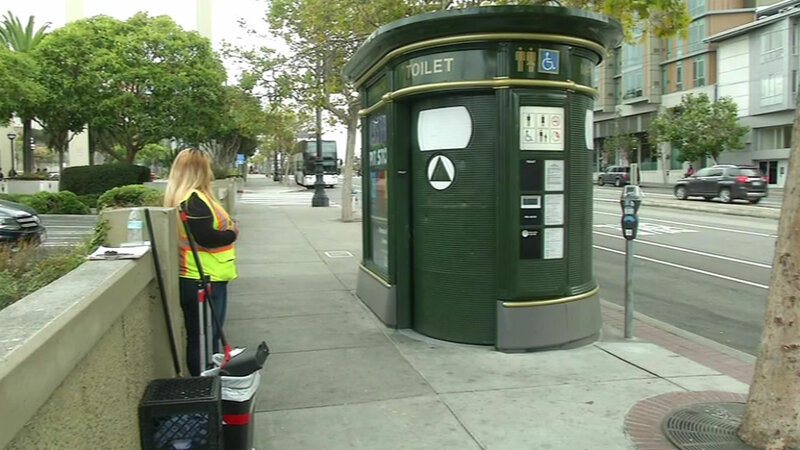 SAN FRANCISCO (KGO) -- The city has hired about two dozen workers to keep an eye on the public toilets along San Francisco streets. Their presence is intended to help cut down on illegal activities like drug use. Besides cleaning the toilets, the public works employees make sure people don't stay there past the 20-minute limit. The city says normal use of the public toilets has increased since the workers began their watch. The program costs a $1 million a year.